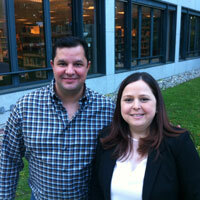 Kerem Saral (MBA '12) and Patricia Benedetti of the Permanent Mission of El Salvador to the World Trade Organization. Students of Webster University Geneva and guests were invited to find out what craft beer and pizza have in common with economics at the official introduction of the Economics Degree. More importantly, this event, held on April 19, was an opportunity for students—including high school students from local institutions—to meet the new degree’s core faculty: Michal Paserman, Rouben Indjikian, Marcello Puca and Michael Sakbani. Krista Saral, Economics faculty member and leader of the Economics Program on the Geneva campus, introduced the faculty members present, who each hold a PhD in the field of economics. Participants also heard testimonials on the value of an economics degree from two local Geneva professionals: Patricia Benedetti, counselor in the Permanent Mission of El Salvador to the World Trade Organization and Webster alumnus Kerem Saral, global supply chain manager for Better Cotton Initiative, MBA ’12. Akul Kullar, a Webster University student at the Geneva campus, has decided to major in Economics. He feels that his classmates, who had the chance to meet and talk to economists at the event, will now consider this area of study. "Some students, who were ‘intimidated’ by economics, now understand that studying economics is not only extremely relevant in answering the challenges of today’s world, but that it can also lead to great jobs in a wide range of fields," Kullar said. Paserman, Rouben Indjikian and Krista Saral. “The degree represents an ambitious step forward in how degree programs are launched and developed at Webster University Geneva. Clementina Acedo, Webster Geneva campus director, along with Dominique Jolly, chair of George Herbert Walker School of Business & Technology programs at Webster Geneva, also attended the launch. 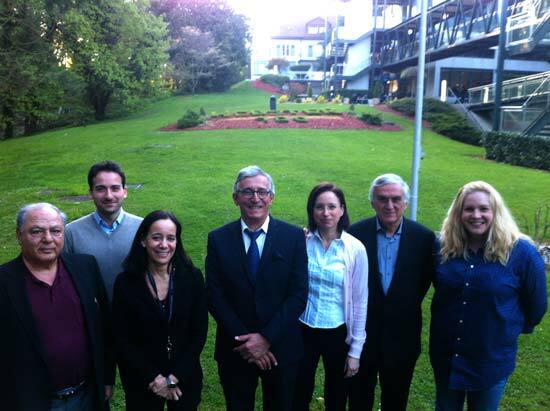 They are eager to see the new program grow in breadth and depth on the Geneva campus and are convinced that Economics will attract prospect students as well as study abroad students within the Webster and WINS (Webster International Network of Schools) networks.